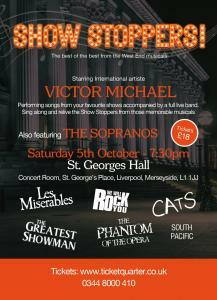 Sing along or just sit back and enjoy music from International star Victor Michael and his orchestra. 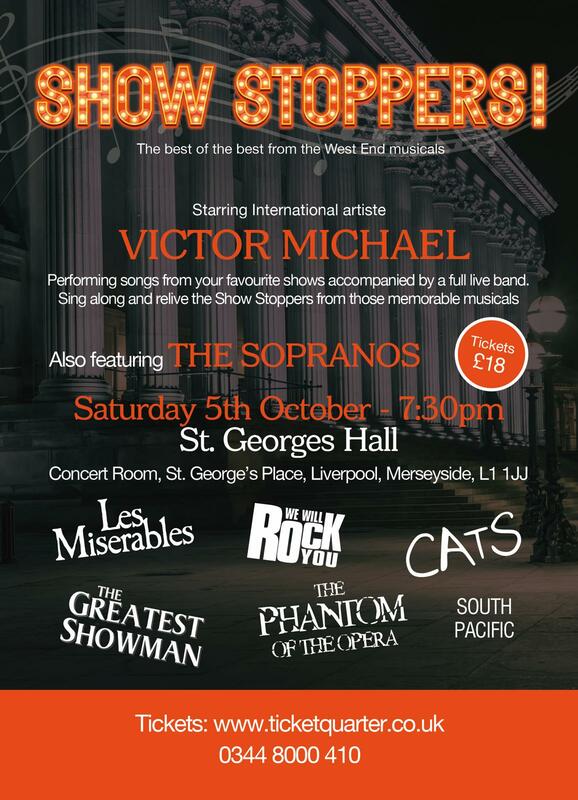 Top of the bill songs such from The Greatest Showman, Les Miserables, Cats, South Pacific, Phantom of the Opera and more. Featuring special guests, The Sopranos. The perfect way to spend a Saturday night. Book Tickets by calling 0344 8000 410.